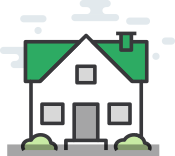 Grid4C’s Predictive Home Advisor solutions use advanced machine learning capabilities to empower electricity consumers with the insights and tools they need to make informed decisions about their energy use and products. These timely insights help customers to prevent future problems and save money, maximizing the value for both customers and electricity providers. Grid4C’s algorithms can detect, diagnose, and in many cases predict malfunctions, inefficiencies and behavioral anomalies for many home appliances, without the installation of any hardware and just by analyzing smart meter data. These issues are identified for major home appliances, including HVAC systems, water heaters, pool pumps, the home envelope, and refrigerators. By analyzing smart meter usage data from each premise, Grid4C’s algorithms can break down energy usage for customers for each appliance in a non-intrusive manner, and alert customers when anomalies are detected for unusually high appliance usage or costs. The machine learning engine monitors and learns the usage patterns of each customer in various conditions (weather conditions, holidays, day of week, time of day etc.). Based on these usage pattern profiles, the actual usage behavior of the customer is monitored in order to automatically detect usage deviations. Grid4C’s algorithms build predictive models for every customer that predict how customers will behave and how much energy each of their appliances will consume for the next 31 days, normalized for weather. Customers can view forecasted daily costs and electricity usage for the forthcoming week. The models also generate daily and weekly forecasted electricity usage in one hour intervals. By combining customer usage data with smart thermostat data, we can help customers optimize thermostat settings, simulate how any temperature setting will impact a customers energy bill, and predict and detect faulty home appliances to deliver real customer value. Utilities can understand appliance ownership for every premise, and proactively provide personalized notifications that certain appliances are expected to have high usage before a high price tier, e.g. pool pumps that are running during high price periods. Grid4C has developed innovative Chatbots, which are automated interactions through a chat window that use machine learning to ask customers 2-3 questions to diagnose or troubleshoot an issue when there are multiple possible explanations. 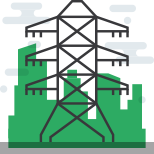 Grid4C's Predictive Operational Analytics solutions use advanced machine learning capabilities to enable electric utilities to optimize profits, forecast for future load growth on the grid at any level of granularity, and predict failures and faults of grid equipment to save time and money. Load forecasting at the meter/transformer level provides accurate load forecasts at the meter and sub-hour levels. Bottom-up aggregations and top-down disaggregations enable the forecast at any level of granularity (appliance/ transformer/feeder/ industry/territory level, etc.). Advanced visualization tools enable the end user to self-explore the data, run simulations and what-if analysis and more. Grid4C's AI powered analytics can detect, diagnose, and in some cases predict faults and inefficiencies for assets on the grid. Based on the ability to forecast solar power generation and the electric consumption at the premise on a sub-hourly level, Grid4C’s DER Optimization solution forecasts and optimizes Distributed Energy Resources, which is a critical need for utilities. Together with the ability to automatically disaggregate smart meter reads to the appliance level usage in sub-hour granularity (including the usage of EVs, pool pumps, HVACs and more), this solution helps utilities with short and long term planning needs that improve reliability, lower costs, and optimize grid assets. It also simulates the impact of Demand Response events, to target the optimal customers for a control event and proactively provides notifications that certain appliances are expected to operate in advance of DR events. An adaptive automated engine provides accurate solar power forecasting based on proprietary machine learning algorithms, can detect inefficiencies with solar panels, and maximize profitability of solar usage against the predictive model for each home for customers with solar. 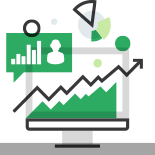 Grid4C's Predictive Customer Analytics solutions offer utilities insights about their customers, leveraging appliance ownership, load profiles, and other customer data to build predictive models that segment customers for targeted marketing, rate design, and reducing customer churn. A solution that takes into account customer parameters, consumption behavior profiles and patterns, appliance ownership (provided by the disaggregation algorithms), together with spatial data, in order to build bottom-up customer segmentations to personalize pricing and marketing offerings. A solution that takes into account customer parameters, consumption behavior profiles and patterns, appliance ownership (provided by the disaggregation algorithms), together with spatial data, in order to build bottom-up customer segmentations to design new rate plans for customers. The Outage Analysis solution analyzes outage parameters such as outage type, outage duration, spatial data, and more, to predict outage root cause, impact and time to restore power. Churn Analysis solution analyzes customer parameters, consumption behavior profiles and patterns, and spatial data, to predict each customer's probability to churn as a function of time and provide customer root-cause analysis. Not sure which solution is right for your organization?